The original design of the traditional sash and casement window is over 100 years old, and can benefit hugely from a few upgrades to bring it up to modern standards. Trust Bartrams joinery to use traditional joinery skills combined with modern techniques to renovate old joinery, or create new bespoke pieces. 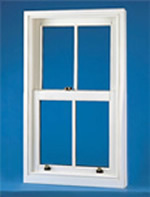 Double hung sliding sash window. Counter weight pulleys and weights. Used mainly in listed buildings where single glazing is enforced. Can be double- glazed by introducing lead weights. 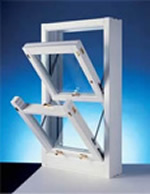 Modern version of the double hung sliding sash window, using tensioned springs in lieu of pulleys and weights. Variation of the spiral sliding sash, allowing each sash to tilt inwards to enable easy cleaning from inside. 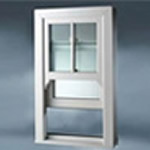 Typical, modern window in which outward opening casement extends around the frame. Easily cleaned from inside. 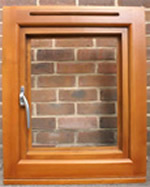 Traditional design in which outward casement fits flush with the frame. Easily cleaned from inside. This window allows the casement to be fully reversed, thereby allowing easy cleaning from inside. Euro-profile Tilt and Turn Inward opening window, commonly used throughout Europe. 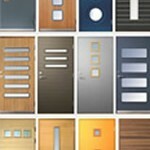 As each door is a bespoke product, we can create any door style needed to suit your home or project. 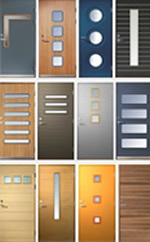 Door styles can be incorporated as a single door, double or French door sets, stable doors, sliding folding doors and patio door sets – all of which can be incorporated into almost any size opening. Our sliding-folding door sets are stylish and durable and are perfect for conservatories, patios and large open-plan areas as well as smaller rooms to give the illusion of a larger space. The sliding-folding door system is designed with endurance in mind and can be hung either top or bottom.